I have been practising Reiki since 2004 achieving Reiki Master-Teacher level. I was drawn to practising Reiki, having discovered for myself the great benefits of the treatment when I was suffering from anxiety. The difference it made was simply astonishing. I am now fortunate to be able to share with my clients the amazing benefits of this pure and very simple treatment. In 2008 I discovered Emotional Freedom Technique and studied to become a master practitioner of this highly effective treatment. My journey in search of a truly holistic practice has brought me to also introduce Crystal Therapy, Ear Candling, and a variety of holistic massages which include Indian Head Massage, Swedish Massage, Hand Massage, Back, Neck and Shoulder Massage, Rose Therapy, Bamboo Massage and the Natural Lift Facial Massage. Since becoming a Reiki Master-Teacher, I’ve had the joy of teaching students the wonderful benefits of offering Reiki to others and of treating themselves. 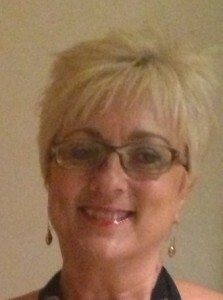 Having survived Post Traumatic Stress Disorder and debilitating Anxiety and Depression, I have been drawn to train as a Master Practitioner in Modern Stress Management, working with individuals, companies, schools, health care professionals and organisations to help manage stress levels and improve wellbeing. Having moved to the North East of England more than thirty years ago, I am happily settled here amongst the fantastic people of this region. I have a strong belief that the mind and body are meant to work in harmony to allow us to be the best we can be. Sometimes in our busy lives we forget to look after our most important asset – ourselves. We need to nurture our whole being and this is the belief that draws me to holistic treatments. Invest in your well-being. 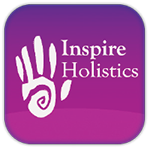 You can find me at Inspire Holistics within Grace House, Bardolph Drive, Sunderland, SR5 2DE. Fantastic treatments by Liz. She knows me inside and out and is the only person I’d trust to help me on my way.. Experienced my first ever reiki with Liz from inspire holistics & wow what an ‘experience’ it was. I found Liz to be very professional & connected with her immediately. The session began with an introduction to Reiki & an overview of what the treatment entailed & gave me sufficient time to ask any questions. The treatment itself was amazing!! I felt like my whole body had been energised & recharged and I absolutely loved it. So much so that I have since purchased two gift vouchers for my friend & husband, and they both loved it too! I’d highly recommend Liz and as a Reiki Practitioner, she had such a soothing & relaxing aura around her. It was truly amazing & one of the best holistic treatments I’ve ever had. Finding Reiki really helped me to overcome my emotional difficulties and feel more balanced. I now feel more confident in dealing with the challenges of everyday life and reaching fort goals.